Bethesda has detailed the upcoming updates, set to launch in September for the free to play shooter Quake Champions. 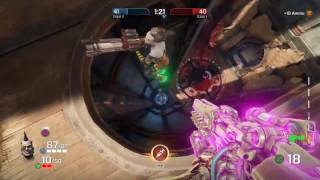 The update will bring Q3DM17, aka The Longest Yard, as a reimagined map for Quake Champions. 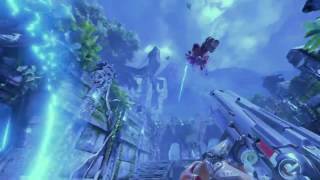 New Champion Athena swings in on her grappling hook, allowing players to fly high above the fray, dropping rockets and plasma and rail shots on the poor suckers left walking below. There will also be new skins, and ability for bots to fill empty player spots. New specialty modes will bring all news ways to compete. Featured in the ‘Play Now’ screen, Arcade Modes will rotate on a regular basis. Some examples of game modes you’ll see in Arcade Mode include Hot Rockets (all Champions spawn with just the Rocket Launcher with infinite ammo), Mystery Champion (spawn as a random Champion each time), Team Instagib, Unholy Trinity (everyone must use three core weapons). 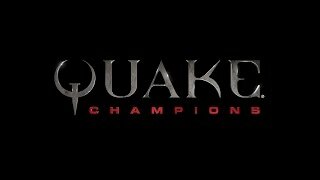 Quake Champions is available now in Early Access on PC.